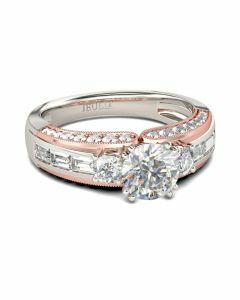 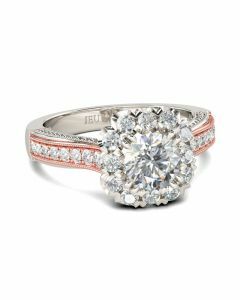 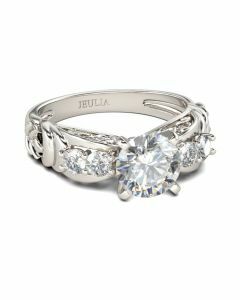 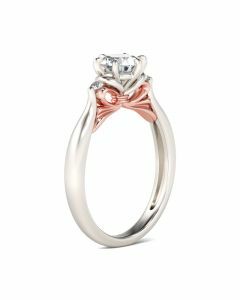 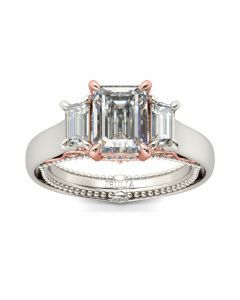 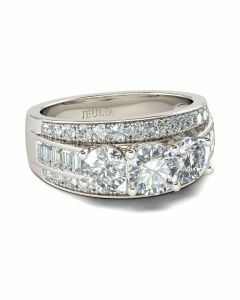 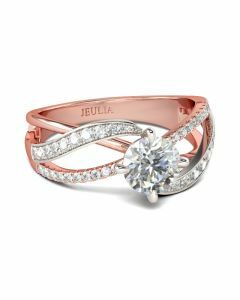 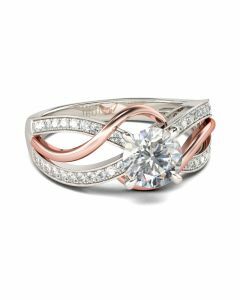 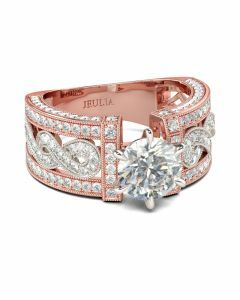 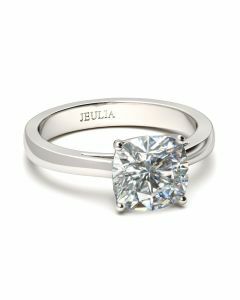 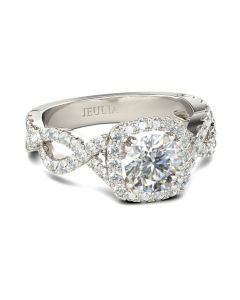 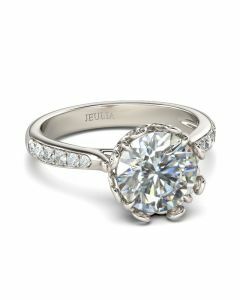 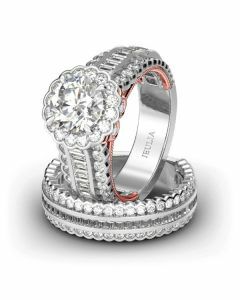 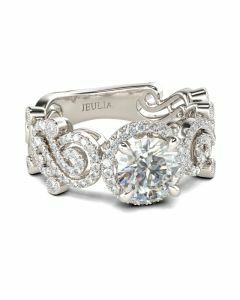 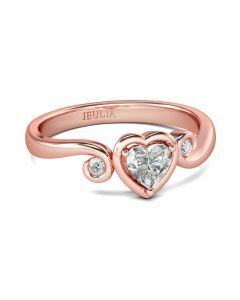 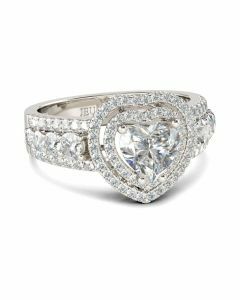 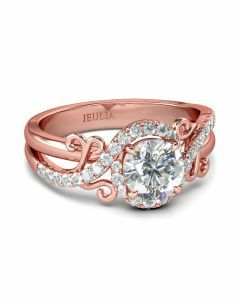 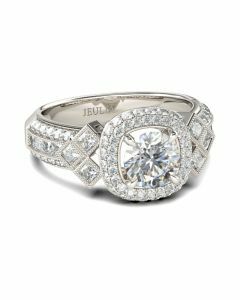 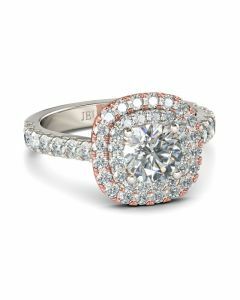 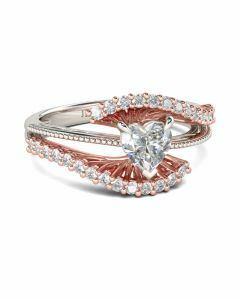 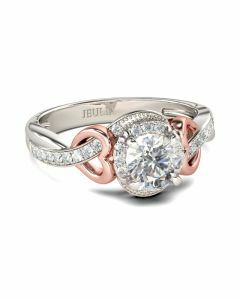 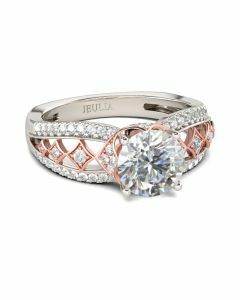 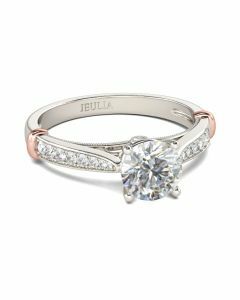 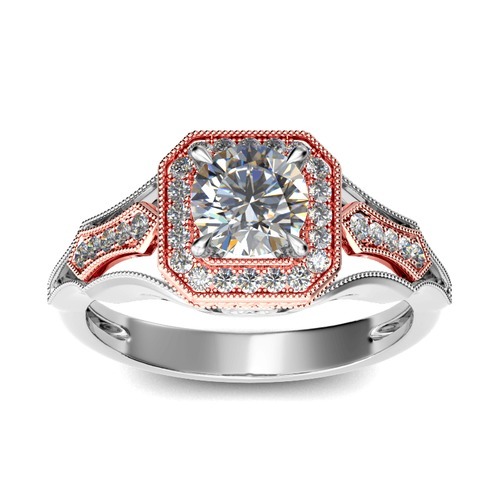 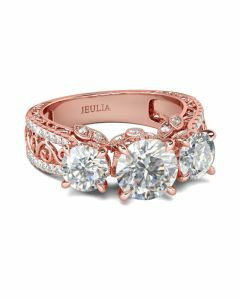 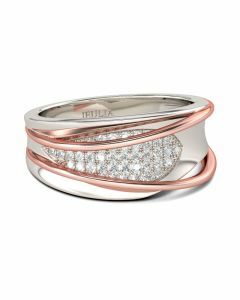 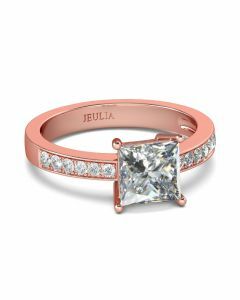 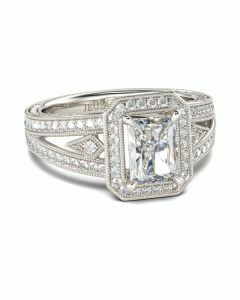 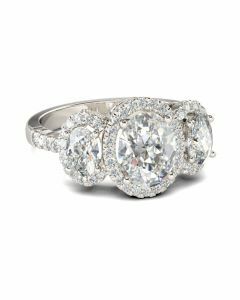 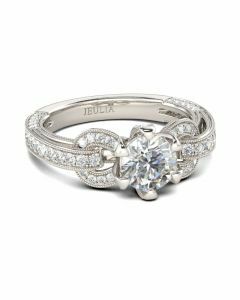 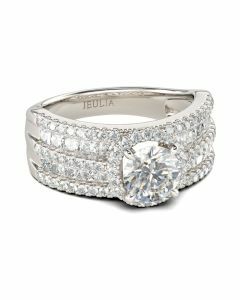 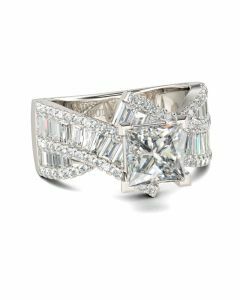 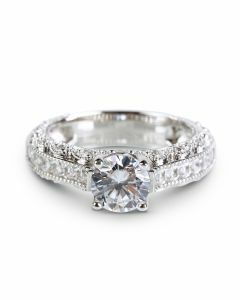 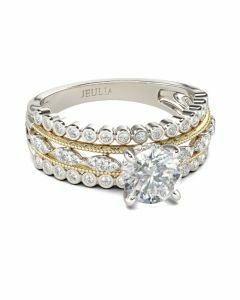 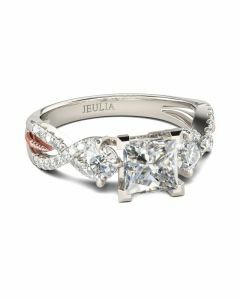 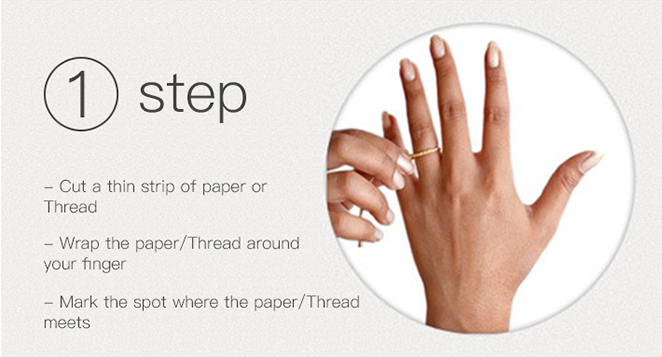 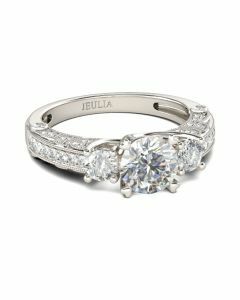 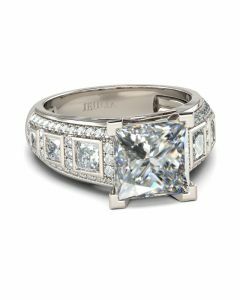 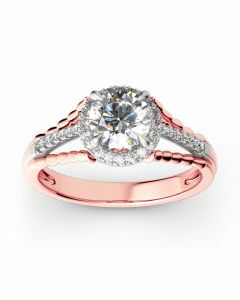 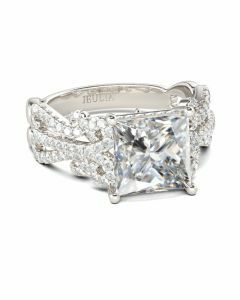 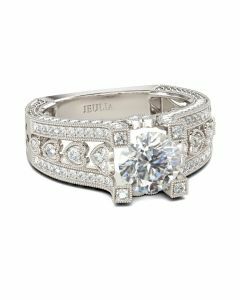 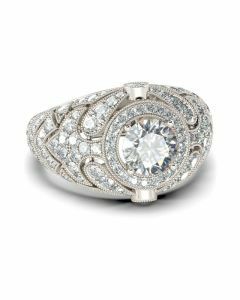 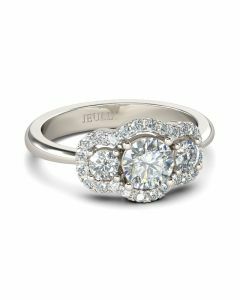 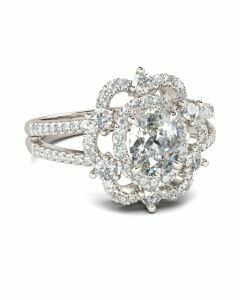 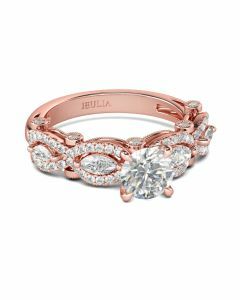 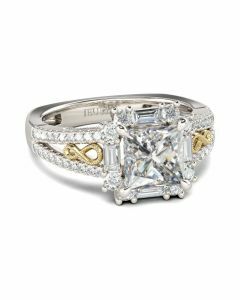 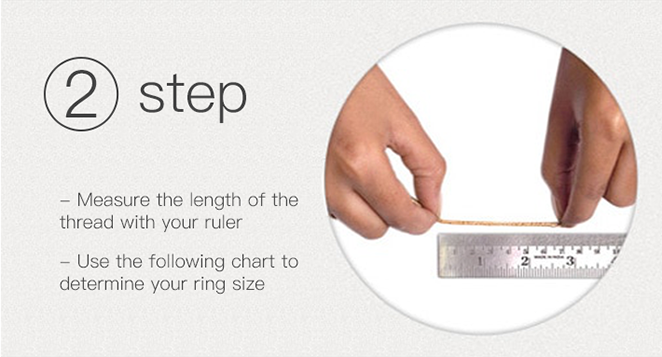 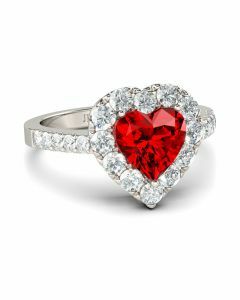 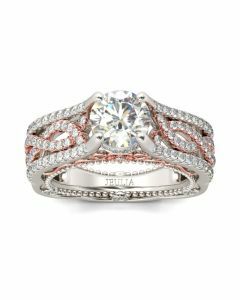 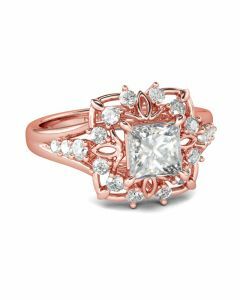 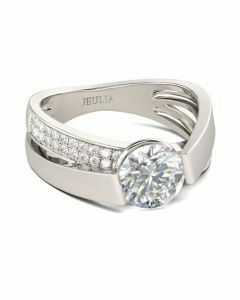 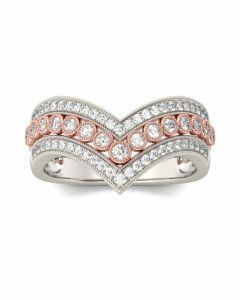 Celebrate your romance with this vintage-inspired wedding band. 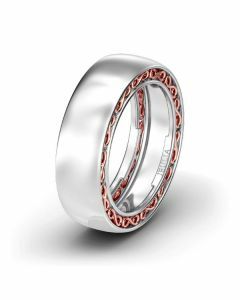 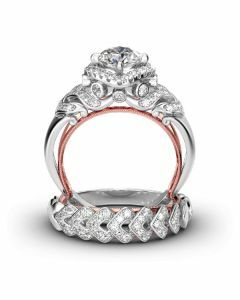 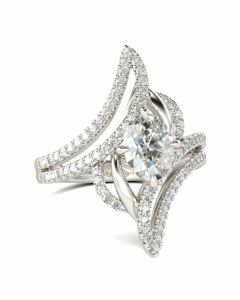 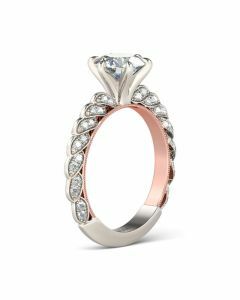 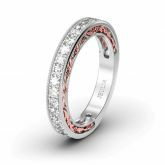 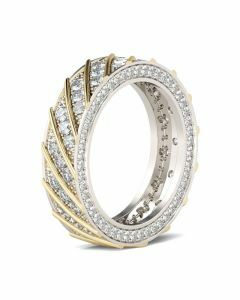 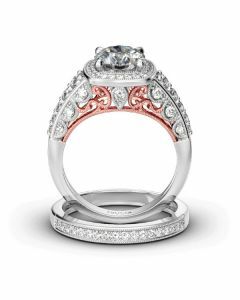 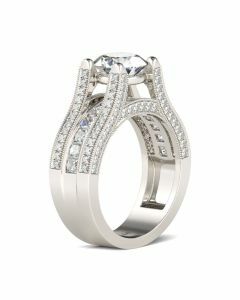 Designed in two tone, this slender ring shines with a row of shimmering round stones and delights with a surprising milgrain-detailed scrollwork edge underneath. 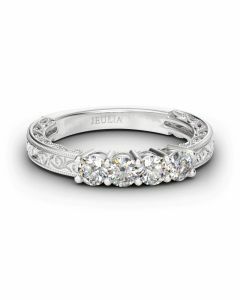 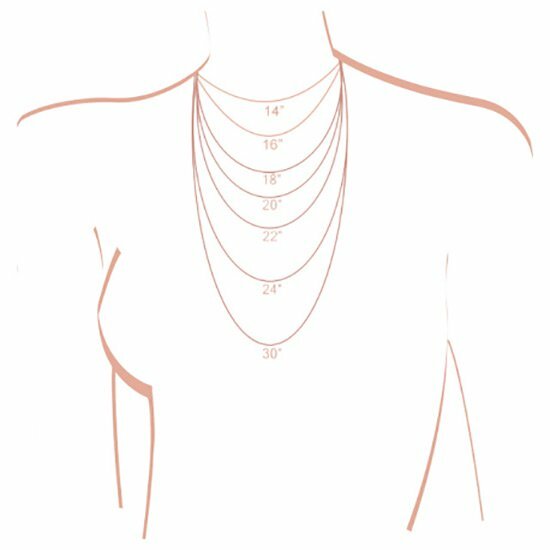 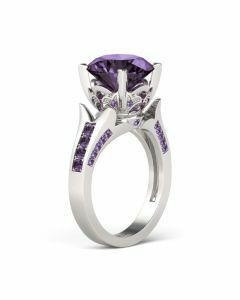 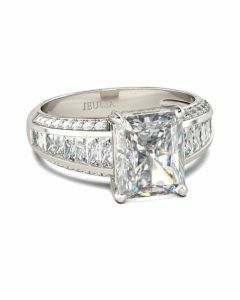 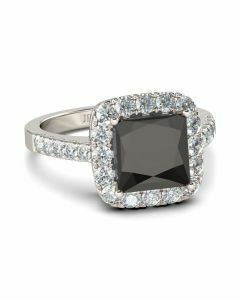 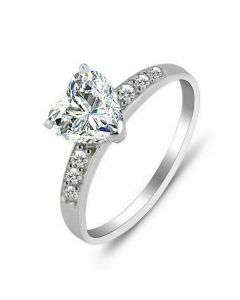 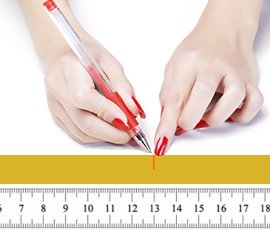 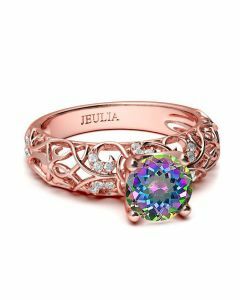 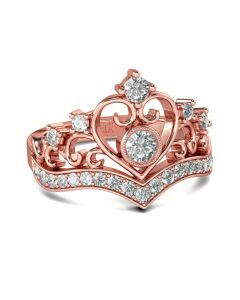 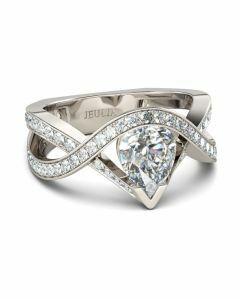 Simply dazzling, this beautiful style is sure to become a treasured keepsake.